"Gardel" redirects here. For the place in Guadeloupe, see Gardel, Guadeloupe. This article is about the person. For the metro station, see Carlos Gardel (Buenos Aires Metro). Portrait of Gardel made by José María Silva in 1933. Carlos Gardel (born Charles Romuald Gardès; 11 December 1890 – 24 June 1935) was a French Argentine singer, songwriter, composer and actor, and the most prominent figure in the history of tango. Gardel's baritone voice and the dramatic phrasing of his lyrics made miniature masterpieces of his hundreds of three-minute tango recordings. Together with lyricist and long-time collaborator Alfredo Le Pera, Gardel wrote several classic tangos. Gardel died in an airplane crash at the height of his career, becoming an archetypal tragic hero mourned throughout Latin America. For many, Gardel embodies the soul of the tango style. He is commonly referred to as "Carlitos", "El Zorzal" (The [Song] Thrush), "The King of Tango", "El Mago" (The Wizard), "El Morocho del Abasto" (The Brunette boy from Abasto), and ironically "El Mudo" (The Mute). Gardel was born to unmarried 25-year-old laundress Berthe Gardès, the baby registered under the name Charles Romuald Gardès in Toulouse, France, on 11 December 1890. The father of the baby boy was listed on his birth certificate as "unknown"; eleven days later Berthe Gardès signed a statement establishing the baby's father as Paul Laserre, a married man who left Toulouse a few months before the baby was born. Berthe Gardès left Toulouse just over a year later, likely to escape the social stigma of having a child born out of wedlock. In early 1893 in Bordeaux, France, mother and son boarded the ship SS Don Pedro and sailed to Buenos Aires, arriving on 11 March 1893. Berthe Gardès had her passport recorded; she told immigration authorities that she was a widow. The two-year-old boy was recorded as Charles Gardès. Gardel grew up going by Carlos, the Spanish version of his French name, and often by the familiar diminutive form Carlitos. He lived in the Abasto neighborhood of Buenos Aires. He attended Pio IX Industrial high-school located in the Almagro neighborhood of Buenos Aires. His mother worked pressing clothes in the French style. Gardel began his singing career in bars and at private parties. He also sang with Francisco Martino and later in a trio with Martino and José Razzano. Gardel created the tango-canción in 1917 with his rendition of Pascual Contursi and Samuel Castriota's Mi noche triste. The recording sold 10,000 copies and was a hit throughout Latin America. Gardel went on tour through Argentina, Uruguay, Chile, Brazil, Puerto Rico, Venezuela and Colombia, as well as making appearances in Paris, New York, Barcelona and Madrid. He sold 70,000 records in the first three months of a 1928 visit to Paris. As his popularity grew, he made a number of films for Paramount in France and the U.S. While sentimental films such as Cuesta abajo (1934) and El día que me quieras (1935) lack lasting dramatic value, they were outstanding showcases of his tremendous singing talents and movie star looks. Gardel was aware of the fact that much of his popularity was based on his attractiveness to women. In an effort to seem as if he were available to any woman, he sought to keep his love life secret. Gardel had one major girlfriend in his life: Isabel del Valle. 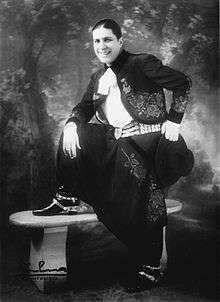 He met del Valle in late 1920, when he was performing at the Esmeralda Theater in Buenos Aires. They were close for more than a decade. Gardel and del Valle were not seen together very often in public. Gardel's mother and del Valle's family helped make sure the relationship was not well known. Only Gardel's closest friends knew about it. Gardel arranged for del Valle to have a house; he provided money for her to live on. Around 1930 the relationship began to degrade. Gardel had his lawyer stop making payments to del Valle, who later married another man and moved to Uruguay. She was always respectful of the memory of Gardel, even when interviewed about him in late life for a 1980s television program. Gardel died on 24 June 1935 in an airplane crash in Medellín, Colombia. Others who died included the pilot Ernesto Samper, lyricist Alfredo Le Pera, guitarists Guillermo Desiderio Barbieri and Ángel Domingo Riverol, several business associates, and other friends of the group. It is believed that a third guitarist, José María Aguilar Porrás, died a few days after the crash. Millions of Gardel's fans throughout Latin America went into mourning. Hordes came to pay their respects as his body was taken from Colombia through New York City and Rio de Janeiro. 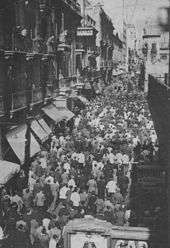 Thousands rendered homage during the two days he lay in state in Montevideo, the city in which his mother lived at the time. Gardel's body was laid to rest in La Chacarita Cemetery in Buenos Aires. The place and year of Gardel's birth was a controversy that provoked debate; Toulouse, France, in 1890 was the most widely accepted version for many years. The Toulouse birthplace was confirmed in 2012 with the location of his birth certificate. Scholars such as Vanderbilt University history professor Simon Collier, University of Belgrano agriculture history professor Osvaldo Barsky and Uruguayan history professor Jorge Ruffinelli from Stanford University write about how Gardel was born in Toulouse, France, in 1890, and how he laid a false trail about his birthplace beginning in 1920, when he was almost 30. In October 1920, Gardel first applied for Uruguayan citizenship; in Buenos Aires he went to the Uruguayan consulate to complete paperwork that said he was born in 1887 in Tacuarembó, Uruguay. One month later he was issued a new Argentine identity card that listed him as a Uruguayan national. On 7 March 1923 he applied for citizenship in Argentina. On 1 May 1923 he took the oath of Argentine citizenship. Today, there is no absolute certainty regarding why he took these steps. The most likely reason for this act was to avoid problems with French authorities during an upcoming tour of France. As a French citizen by birth, Gardel had been required to register with the French military during the Great War. It is likely that Gardel never registered; his name is not found on any lists of registrants. Uruguay maintained a neutrality policy during the war, so Gardel probably chose Uruguayan citizenship on that basis. In 1967, writer Erasmo Silva Cabrera started the modern dispute over birthplace when he published arguments describing Gardel as having been born in Tacuarembó, Uruguay. Nelson Bayardo wrote a similar book in 1988. In 1990, Eduardo Payssé González published a book containing many biographical details supporting a birthplace of Tacuarembó. The story is that Gardel was born in 1887 the son of influential Uruguayan landowner Carlos Escayola and Escayola's sister-in-law, 13-year-old Maria Lelia Oliva. The unwanted boy, named Carlos, was offered to Bertha Gardes who was passing through the area on a cabaret dance tour. Gardes took the boy with her back to France, where she was from. Later, she and the boy traveled again, this time to Buenos Aires, where they settled. Others describe Gardes as a woman who ironed and pressed clothing in Toulouse in 1890, not as a touring dancer three years earlier. In the 1920s, Gardel's mother stopped working because his income was sufficient to support her modest lifestyle. She traveled regularly to France to visit her family in Toulouse. When Gardel was touring Europe for the first time, he and Razzano stopped for a few days in January 1924 in Toulouse where Gardel's mother introduced him to his uncle – her brother who had survived the war – and he met his blind grandmother who cried in happiness at the reunion. He revisited his family in Toulouse in 1934, after working in New York. After Gardel's death, his legal representative, Armando Defino, produced a handwritten will which he said was written by Gardel himself, stating he was born in Toulouse, France, to Berthe Gardes (1865–1943), and baptized with the name of Charles Romuald Gardes. This statement agrees with the original birth certificate registered in Toulouse on 11 December 1890. In his youth in Buenos Aires, Gardel's group of close friends called him "El francesito" (Frenchie), acknowledging his French origin. After 1920, Gardel gave contradictory and evasive stories about his birthplace, most likely because of the false papers he had filed. Reporters often wrote that Gardel was Uruguayan, born in Tacuarembó. In the newspaper El Telégrafo (Paysandú, Uruguay, October 25, 1933), Gardel was reported as saying, "I'm Uruguayan, born in Tacuarembó". In the June 1935 issue of Caretas magazine of Antioquia, Colombia, Gardel was reported as saying, "My heart is Argentinian, but my soul is Uruguayan, because that is where I was born". In 1931, Gardel wrote in a witness document, "I am French, born in Toulouse, 11 December 1890, son of Berthe Gardes." 1 Gardel's first film, directed by Francisco Defilippis Novoa and made in collaboration with Celestino Petray. 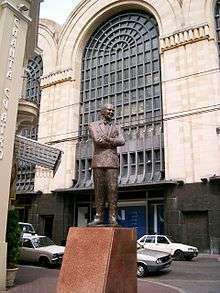 A statue of Gardel outside the Abasto Market in Buenos Aires, near where he grew up. Gardel's legacy is intimately tied with the tango. For his tango singing, Gardel is still revered from Tokyo to Buenos Aires. A popular saying in Argentina, which serves as a testimony to his long-lived popularity, claims, "Gardel sings better every day." Another commonly used phrase in Argentina (and some other Latin American countries) which asserts that Veinte años no es nada (Twenty years is nothing), comes from his song Volver (1934). Another common Argentine phrase is soy/sos Gardel y Le Pera (I'm/You are Gardel and Le Pera) referring to the greatness of both; used when somebody excels at something. In the neighborhood of Abasto, Buenos Aires, Gardel's childhood home, the Carlos Gardel Museum opened in 2003. 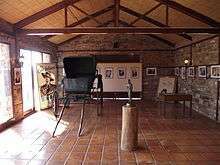 An earlier Carlos Gardel Museum opened in 1999 in Valle Edén, an old farm site 23 km (14 mi) south of Tacuarembó, Uruguay. In 2004, Uruguay produced a Gardel stamp calling him the "immortal Tacuaremboan". On March 16, 2011, the United States Postal Service issued a set of five "Latin Music Legends" stamps including one picturing Carlos Gardel. António Lobo Antunes wrote a novel entitled The Death of Carlos Gardel, in which one of the characters believes that Gardel did not die in the plane crash in 1935. Gardel appears as a fictionalized character in the play El día que me quieras (1979) by the Venezuelan writer José Ignacio Cabrujas. In the 1939 biopic The Life of Carlos Gardel, he is portrayed by Hugo del Carril. Doble o Nada starring Dario Grandinetti and Aitana Sánchez-Gijón was released by Maverick in April 2003. It is a fictional story about a struggling Argentine tango singer who looks and sings like Gardel, and a woman admirer of Gardel, who encounters Franchi. There were to have been other two films about Gardel, Gardel 2008 (July 2009), starring Gael García Bernal as Gardel, and Dare to Love Me (2010). Neither film was produced. Director Armand Mastroianni will direct the film Gardel, Luc Besson will produce the film. The film is projected to be released in 2017. 1 2 3 Bocaz, Luis (March 1986). "Tango Time", UNESCO Courier, p. 11. 1 2 3 Collier, Simon (1986). The Life, Music, and Times of Carlos Gardel. University of Pittsburgh Press. p. 5. ISBN 0822984989. ↑ Cunningham, Amy (3 July 2011). 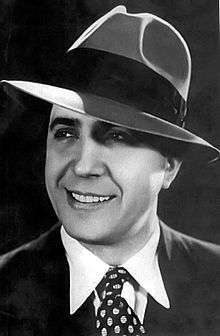 Carlos "Gardel: The King of Tango", Sound and Colours. ↑ Collier 1986, p. 73. ↑ Ruffinelli, Jorge (2004). La sonrisa de Gardel: Biografía, mito y ficción (in Spanish). Ediciones Trilce. pp. 15, 91, 119, 139. ISBN 9974323568. ↑ Collier 1986, pp. 121–22, 233, 210. 1 2 Clavell, M. (1996) (in Spanish), Biografía. In: Los Mejores Tangos de Carlos Gardel. Alfred Publ. Van Nuys, California. 1 2 3 4 5 Ruffinelli, Jorge (2004). La sonrisa de Gardel: Biografía, mito y ficción (in Spanish). Ediciones Trilce. pp. 31–32. ISBN 9974323568. ↑ Zubillaga, Carlos (1976). Carlos Gardel: tango inacabable. Colección Los Juglares (in Spanish). 33 (2 ed.). Júcar. pp. 9, 103. ↑ Verónica Dema (September 20, 2012). "Fin del misterio: muestran la partida de nacimiento de Gardel" [End of the mystery: they show Gardel's birth certificate]. La Nación (in Spanish). Retrieved October 3, 2012. 1 2 Barsky, Julián; Barsky, Osvaldo (2004). Gardel: La biografía (in Spanish). Taurus. ISBN 9870400132. 1 2 Collier 1986, p. 72. ↑ Silva Cabrera, Erasmo (1967). Carlos Gardel: el gran desconocido. Ediciones Ciudadela. ↑ Matamoro, Blas (1971). Carlos Gardel. Centro Editor de América Latina. pp. 20–21. ↑ Bayardo, Nelson (1988). Vida y milagros de Carlos Gardel. Ediciones La República. ↑ "Argentina and Uruguay's tango row". From Our Own Correspondent. BBC News. 16 August 2008. Retrieved 31 August 2012. 1 2 de Saint-Blancat, Monique Ruffié; Esteban, Juan Carlos; Galopa, Georges (2006). Carlos Gardel: Sus Antecedentes Franceses (in Spanish). Corregidor. ISBN 9500516349. ↑ Collier 1986, p. 81. ↑ Collier 1986, pp. 14, 22. ↑ Alvarez, Eliseo (1995). Carlos Gardel : biografía autorizada (in Spanish). De la Urraca. ↑ "Carlos Gardel Museum". Uruguay.com. Retrieved 31 August 2012. ↑ "Feuding Uruguay, Argentina unite to preserve tango". New York Daily News. Associated Press. 11 May 2009. p. 2. Retrieved 31 August 2012. ↑ "Gardel film". imdb.com. Retrieved 16 July 2013. Wikimedia Commons has media related to Carlos Gardel.